As with her first and most successful hit "I Think We're Alone Now", "I Saw Him Standing There" was a cover version. The Beatles released the song in 1963 with the title "I Saw Her Standing There" which was a No.14 hit in the U.S. It was penned by Lennon and McCartney. Tiffany's version was released as her fourth single, which became her third consecutive top 10 hit in both the UK and U.S. The song was a remixed version of the track that featured on her self-titled debut album. The single was released on 7" and 12" vinyl and also on cassette. The 12" and cassette singles included the tracks "Mr. Mambo" and "Gotta Be Love". The 7" did not include "Gotta Be Love". 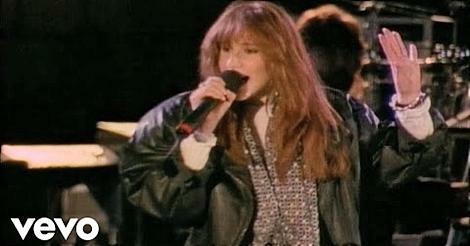 In the video, we see Tiffany performing live in front of thousands of fans at Disney World. Whatever you think of her voice, she does, at least, give it her all and her voice has a raw and raspy quality that is somewhat lacking these days - now everything sounds over polished and soulless to my ears. Tiffany's cover entered the UK singles chart at #23 on 29th May 1988, in the same week that The Timelords entered at #22 with "Doctorin' The Tardis" and Maxi Priest entered at #32 with "Wild World". It reached #8 for one week on 5th June, and was the last single to enter the top 10 in the UK. 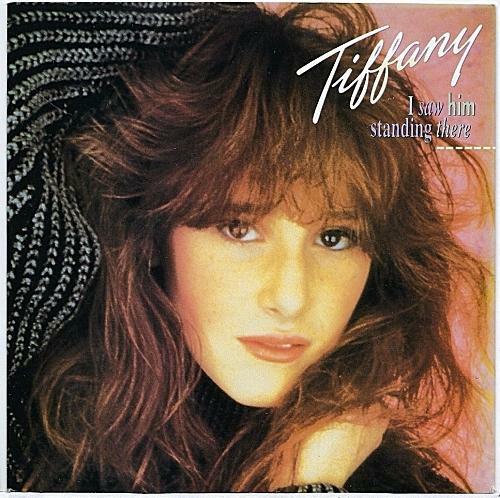 Indeed, after just one more hit with "Radio Romance" (which reached #13 during 1988), Tiffany's musical career took a nosedive. In 2016, Tiffany released the album A Million Miles, although it did not chart anywhere. Lyrics for "I Saw Him Standing There"